Turkmen Ambassador to the Philippines (with residence in Tokyo) Gurbanmamet Elyasov has presented his credentials to President of the Philippines Rodrigo Roa Duterte, Trend reports with reference to the Turkmen Foreign Ministry Jan. 23. Duterte noted the importance of developing relations with Turkmenistan. 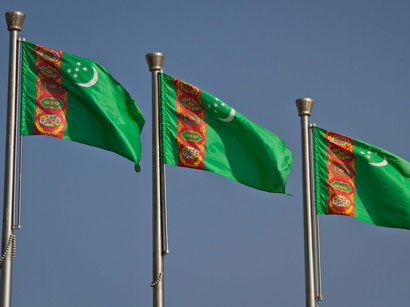 In December 2017, political consultations between Turkmenistan and the Philippines were held in Ashgabat. The delegation from Manila was headed by the Director General of the Office of Middle East and African Affairs of the Department of Foreign Affairs of the Philippines Hjayceelyn Quintana. Touching upon the issues of intensification of trade and economic relations, the parties expressed interest in the development of cooperation in the fields of agriculture and food industry. In addition, the sides exchanged views on the mutual import and export potential, on the improvement of the legal framework and the development of cooperation in the fields of education, sports and tourism.